Who is The Lazy Lifter? My name is Cho, and the beautiful people on social media may know me as The Lazy Lifter who does intermittent fasting (IF), loves to eat junk foods “If It Fits Your Macros (IIFYM) style“, often into parties and raves, lifts heavy 3x a week (and no more), and post funny captions that almost no one takes me seriously. My family knows that the place to find me is always around a heavy set of weights or in front of a laptop somewhere around the house, reading or writing about fitness and self-help. 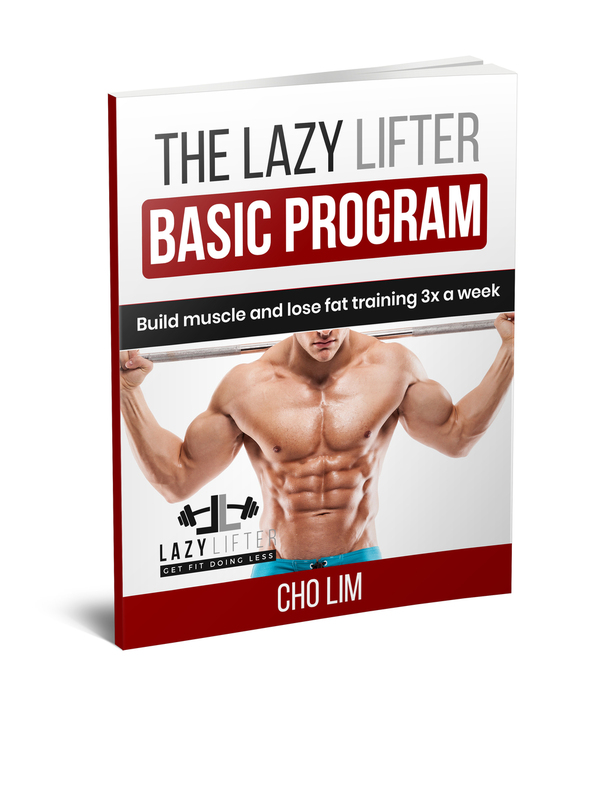 I usually spend my time answering nonstop chats and emails from people who want to achieve their fitness goals, and many of them have become buyers of my ebook, my clients, or simply a friend. I love helping people and I love talking about fitness. Whether they buy my program or not, whether they apply for my online coaching or not, whether they subscribe to my email newsletter or not, either way, I am happy. So, that’s the snippet of my life. It’s obviously full of fitness stuff if you haven’t noticed, and that’s because fitness is my passion. It’s been the mission I’ve been dedicating my life to not only for my benefit, but more on to contribute to a lot of people — and I think I am doing a good job! The thing that separates me from other fitness gurus is that I teach fitness for the purpose of improving people’s lives, not taken over by it. I want people to live an enjoyable life on their own terms and let fitness be an addition, not their sole focus in life. I want them to confidently go on with their day carrying their fitter body, but without having to live in the gym. Sure I can make them work out every day and make the gym their life and look insanely awesome, but what about their other hobbies? What about doing other fun things? I know I sound like I have a high opinion of myself here like I’m all this super fitness guru… but the truth is, just a few years ago, I was definitely not the same person. Frankly speaking, I was far from looking like a fitness guy and I knew nothing about the subject. In fact, I used to be 40 pounds lighter than I am today! For most of my life, I was underweight, unhappy, and insecure with myself. I tried almost everything to get the weighing scale going up, but nothing ever worked. These were the things I kept hearing when I was growing up, and I grew tired of it. I changed the topic whenever muscles, hunks, gym, and fitness would arise in conversations because those were my frustrations and it felt like I was cursed by the weight gaining fairy. To give you a better picture, I will tell you a little bit of my story and background. 5 foot and 10 inches tall, weighing at a staggering 130lbs. Consistent with working out? Weh? This was the time I graduated from high-school, and also the time I started and got consistent with working out. I promised my ex-girlfriend before we broke up (yea it sucked) that someday, I will have my own billboard showcasing my hard-earned physique like those hunks on TV. Looking back, it was kinda funny, and I just want to apologize to her that until now my billboard hasn’t yet to be found. Well, who knows. Maybe I will just have to print my own tarpaulin for that. 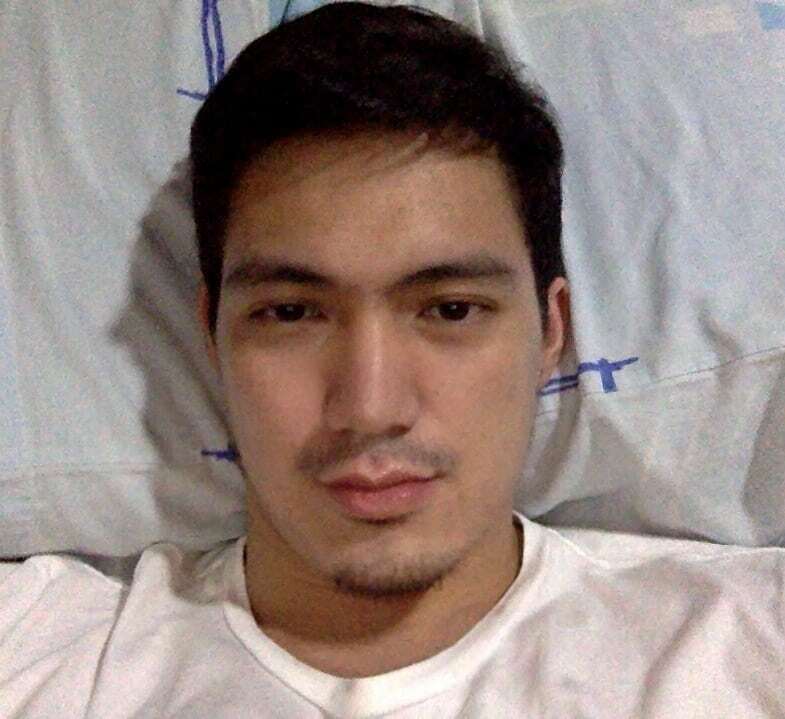 Despite the consistency of my workout, I still didn’t notice any result (isn’t it obvious? duh). Maybe because I was just doing random things at the gym and I was already away from my Dad so no one supervised me. And since this was the time that the Internet got faster and a lot cheaper, free information was now within my reach. I began researching, reading, and studying anything I could see about fitness. I devoured every article I saw on the internet, bought a lot of books, ebooks, and magazines that talk about fitness, and applied every strategy and technique that promised to “deliver fast muscle gain” in my teenie-weenie frame. The long-sought answer to the question of, “How can I build muscle in the fastest possible way?” became my primary goal. The reason? To build my confidence and get girls to like me. Yes, insecure people have these kinds of goals. It’s a huge slap in the face. At this point in my life, I know it’d sound smarter if I had just quit, but it didn’t come as a choice for me. Despite all the years that seemed wasted trying to reach for my goal, I still persisted. I clung on to the idea that one day, I will find the answers. Lo and behold, what I found in this book was a different approach to training(at that time) but it’s a lot less hype than the conventional bodybuilding programs. 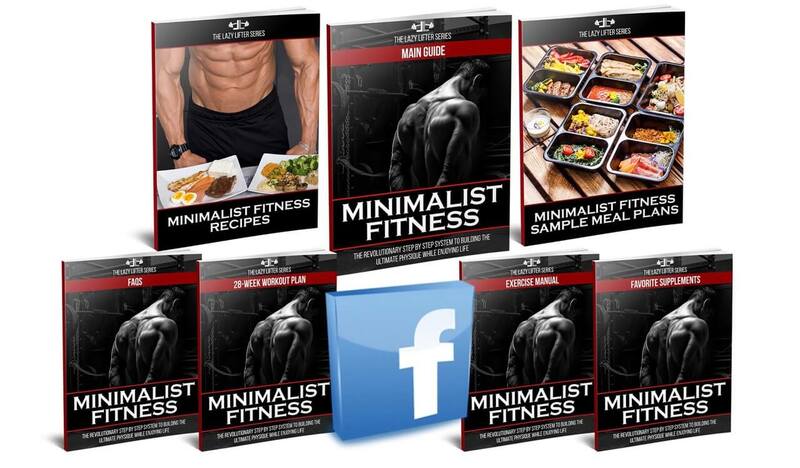 I could say, this was one of the resources that really helped me in the beginning stages of my fitness journey. This wasn’t because it had different techniques and magic tricks, but because it pointed out to me the crucial mistakes I was doing in the gym that were keeping me from seeing results. As a beginner (after training 6 years, yeah, I was still a beginner), I made astounding results following that guide and my lifts shot up through the roof. Still skinny af but the weighing scale was already moving. Yes, I got fat, but who cares? This was my dream for years and I got muscles now hihi. 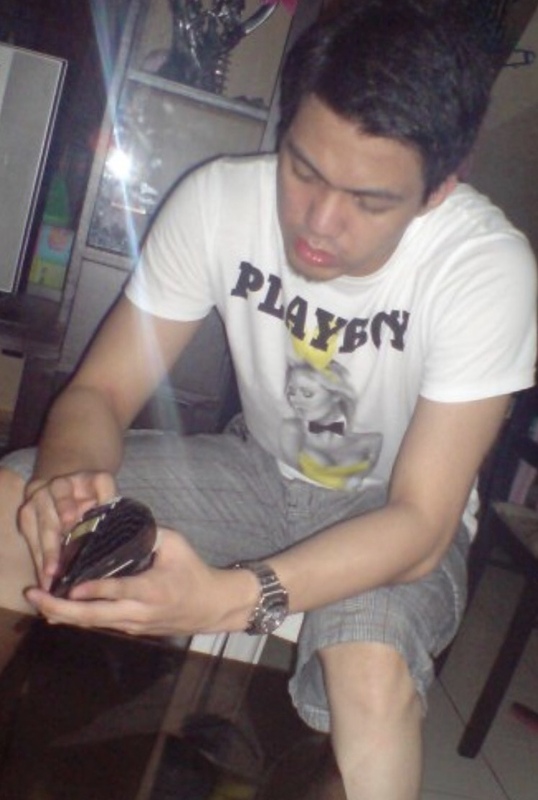 At this point, after mastering the art of gaining weight, I was now set for another goal… to get ripped and be called a “legit” macho. In these past few years, I was able to try different workout programs — from P90x to DC training to Shortcut to Size to Leangains — just to name a few. And what I’ve found are the common grounds amongst all these programs that make them effective when they are effective — and the collection of articles on this blog will teach you all those things. Also in these years, I was able to learn a lot, I mean really a lot. Since I had the time, I really immersed myself in the fitness world and tried my best to learn everything I could about my own body. After years of just wishing and hoping, the time came when I had to make a bold decision. At age 27, August 31, 2016, I gave birth to the most precious thing in the world, The Lazy Lifter (this blog). Reflecting on my journey, transformation, and the lives of the people I’ve touched still amazes me today. This story is the reason for my passion for helping frustrated and insecure guys get back on their feet again. I share this deeply personal experience in the hopes of inspiring you to make the decision to change your life for the better. “The Lazy Lifter” is the name that I came up. and I think it really fits me well. I want to attract audiences that are lazy, or should I say, busy. Hence, the “lazy” in the name. Lazy in this context doesn’t mean lazy itself. My fitness philosophy is to incorporate fitness into people’s lifestyle while not being consumed by it. I want people to enjoy life in the gym and especially outside the gym–eating the foods that they love, going out, and having fun. Lazy in this term means productive — doing only the bare minimum while producing equal or greater results than those who spend more time in the gym. Basically, it’s a non-fitness approach to fitness. The tagline, “Getting fit doing less” greatly summarizes it. Another reason for choosing The Lazy Lifter name is because I hate working out every day. I’d rather spend time with friends, go to a party, or work on my business than think about my gym sesh each minute. I love a workout program that’s only 3-4 days per week, and looking at those success stories above, we can confidently say that it’s all you need. I want fitness to enhance people’s lives, not taken over by it. I want you to live an enjoyable life on your own terms and let fitness be an addition, not your sole focus in life. I want you to confidently go on with your day carrying your healthier and fitter body, but without having to live in the gym. Sure I can workout every day and make the gym my life and look insanely awesome, but what about my other hobbies? What about doing other fun things? Life’s not enjoyable when fitness takes over your life. I know there are some of you who love going to the gym every minute of every day. If that’s you, I have nothing against that. I just want to offer a different perspective and maybe shed some light on some confusions as to why I do what I do. Given that, I am still confident that what I’m going to teach people would benefit you as well. I’m sure of it. In an industry that’s controlled by false information and BS, you can trust my advice as an honest, reliable source that will help you reach your fitness goals in the most effective and practical way possible. My approach is evidence-based; leaning towards science and not bro-science; facts and not fads. I have zero tolerance to BS; hence, I will only teach you useful stuff and discard all the unnecessary ones. No nonsense, only valuable nuggets. When you sign up today, I’ll give you an effective training program for FREE that will enable you to start right away and get closer to that dream bod. Step #3 – Browse all my fitness articles. They’re free! Step #3 – Check my paid products and services. 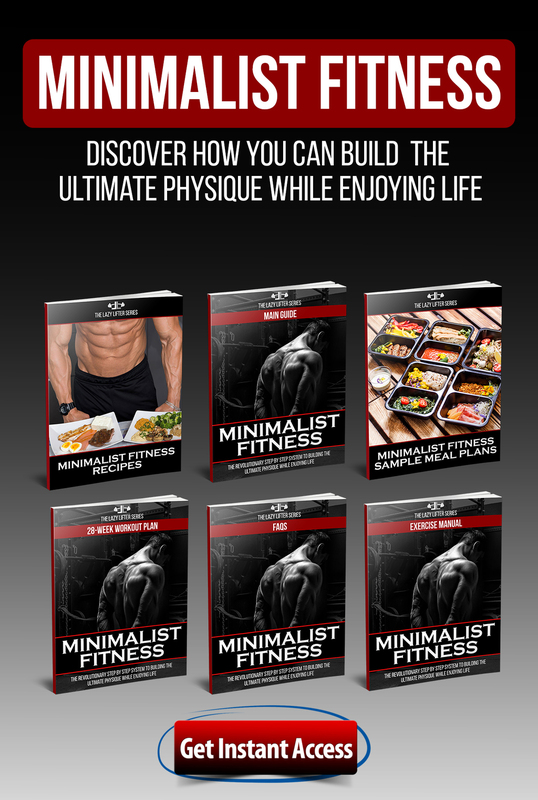 If you want that shredded and muscular body that you’ve been dreaming of but don’t know where to start, or if you’ve been into fitness for a long time now but results have yet to show, then Minimalist Fitness is the answer for you. Is it possible for you to lose 10, 20, 30 pounds or more without giving up the “good” lifestyle? Is it possible for you to gain 10, 20, 30 pounds or more without spending half of your life inside the gym? I’m telling you with absolute certainty that it is possible. 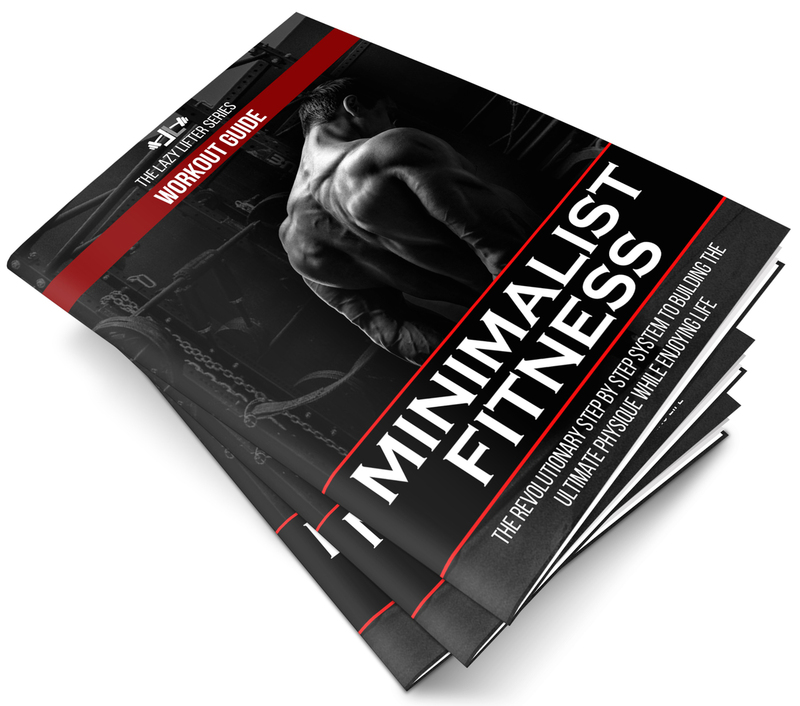 Minimalist Fitness is going to jump-start your upward spiral. This is the program to shift your life into overdrive and make up for all the time you’ve lost by doing the wrong things! The information contained in this ebook package is the best of the best. It’s my magnum opus. This is a fully personalized 1-on-1 online coaching service that includes customized training, nutrition, and supplement plan specifically tailored to your goals, preferences, needs, and lifestyle. Since it’s all done online, we’ll have weekly progress check-ins and assessments, adjustments, and 24/7 support in case you have questions. If you’re interested, shoot me a message here: cho@thelazylifter.com or my social media accounts above. That’s it. I hope you had fun listening to my story like I did when I wrote all of it. And I also hope that I did inspire you in some way to take action towards your goal. All the best to us and I look forward to connecting with you!